has been providing a wide range of legal services ranging from personal injury and criminal defense to business law and real estate. The objective of a wide range of practice areas is not only to provide "one stop shopping" for clients, but because the law, which has been defined as a "seamless web," is often not susceptible to compartmentalization into a single practice; specifically, knowledge and experience in several areas may be necessary in a single set of circumstances. For example, personal injury, workers compensation, tax law and probate law may all be involved in a single case. Please call Boone & Henkoff today at 617-782-8210 to schedule an appointment. Any unauthorized use of material herein is at the user’s own risk. Transmission of the information and material herein is not intended to create, and receipt does not constitute, an agreement to create an attorney-client relationship with Law Office of Boone & Henkoff or any member thereof. 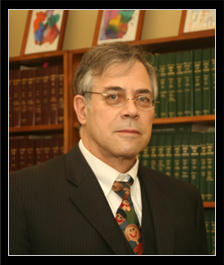 Contacting Law Office of Boone & Henkoff does not create an attorney-client relationship. Please do not send any confidential information until such time as an attorney-client relationship has been established.